Avoid the strange textures that can come with baking with honey by using these four guidelines for how to substitute honey for sugar when baking. Note: This post was updated on December 29, 2018 with new pictures and content for your enjoyment. Is Honey a Substitute For Sugar? In many things, yes, you can substitute honey for sugar. Honey retains moisture, gets a beautiful brown crust during baking, and imparts unique flavors. However, baking with honey presents its own challenges. Honey is sweeter than sugar, so if the incorrect ratio is used, your delicious baked goods will be too sweet. Also, this substitution can give the baked goods a strange chewy texture, as well as impact baking time. Often, we focus on how sweet the honey is and don’t think about other aspects of this ingredient. For example, honey is quite acidic. We don’t normally notice it because the sweetness masks it. However, the acidity of the honey interacts with the other ingredients in your baked goods. This can either hinder or overproduce rise. To balance this, add ½ teaspoon of baking soda for every cup of honey used. When CAN’T I Substitute Honey For Sugar? The only time you shouldn’t substitute honey for sugar is when the recipe requires you to cream butter and sugar. In order for air to incorporate into the batter or dough correctly, it needs the sugar to be lightweight. Thus allowing the air to get trapped. Instead, the density of the honey will keep the air from staying integrated, weighing it down. I would like to explain that this is a should not, not a never. If you are okay with your baked goods being slightly more dense, then you can absolutely substitute the honey for sugar. The only thing it changes in this situation is a coarser and more chewy texture. How Do I Keep My Batter From Being Too Wet? 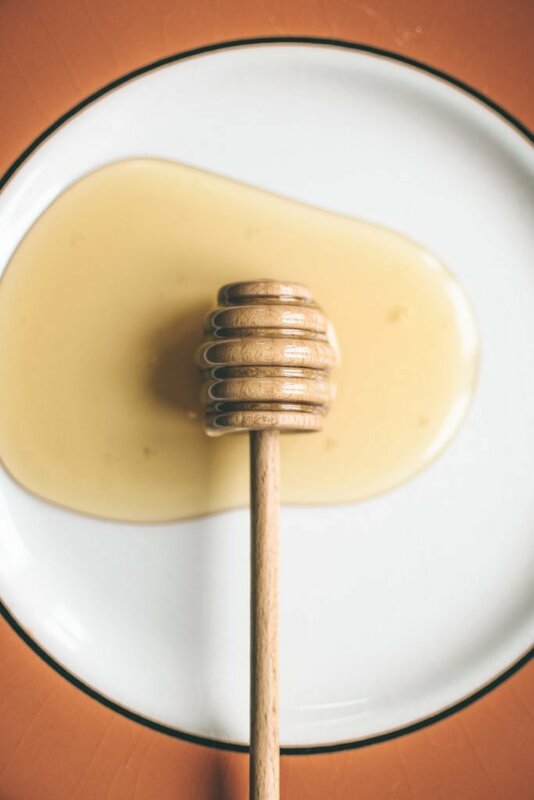 Since honey is a liquid, using it as a substitute for sugar can make for a loose batter. To resolve this, reduce the amount of all the liquids in the recipe by one-quarter. Also, for every egg that the recipe calls for, add an additional 2 tablespoons of flour. This will help provide more bulk for the liquids to hold on to during baking. This is a common issue when substituting honey for sugar. While honey browns beautifully, it also browns much faster than white sugar. To help prevent your baked goods from getting too dark or burning, don’t adjust the cooking time. Instead, just reduce the oven temperature by 25 degrees. Make sure to follow the tips about the batter being too wet as well. If you don’t, then your product won’t finish cooking in time. It is actually very easy to substitute honey for sugar in your baking, and the ratios are relatively easy to remember. For hearty breads and breakfast batters, use a one to one ratio for substitution. For more delicate baked goods, like scones, pies, or cookies, use ⅔ cup of honey for every one cup of sugar. As a reminder of the things we talked about, do these four things when altering your recipe. Balance acidity with baking soda. Add extra flour for each egg the recipe calls for. If you would like to try substituting honey for sugar, here are some recipes I recommend trying. Remember to follow all the tips above, and avoid recipes that require using the creaming method if possible.